Why do we use essential oils? For their scent, right? There are some wonderful aromas, and only a few drops of the oil will tickle your senses and take you to another world. The scent of a particular oil can make us fall in love with it, and a good thing too, for there is more to essential oils than what meets the eye (or should that be nose?). Essential oils can also have a significant effect on our health and mental wellbeing. With all the different options, you may be wondering which are the best essential oils to diffuse? Come with us as we share the essential information on essential oils. The thing we love about essential oils is that they are natural. In most cases, natural is best. A range of essential oils in your home can become part of your beauty regime, health, and emotional well-being. They are potent enough to halt afflictions while being gentle enough to be used daily. Many people also like to use essential oils for meditation. They are great for everyone. So, what essential oil is best? A lot of people will choose an essential oil based on the aroma, and there is absolutely nothing wrong with that if all you are after is the scent. There are oils which are favored for their smell, but the choice is entirely up to you. Take a sniff of some oils and choose the one you like. Some prefer fresh smelling essential oils, while others may go with a floral or sweet smelling essential oil. There are plenty of scents to choose from. If you are looking to add some fragrance to a perfume, humidifier, bath, etc., then you only need to go with the aroma which appeals to you. Some people will choose an essential oil based on the health or mental benefit it can bring. The smell of an oil is easy to access. Simply pop the lid and inhale. The benefits of the oil are harder to ascertain without some research into each oil. We are listing our top seven essential oils which will improve your life and smell great. The listed oils are some of the most popular essential oils. They are great when used alone or you can create essential oil blends. They can be used to enhance the fragrance of a room, add nutrients to skin, add elements to aromatherapy, or be used in a diffuser or steamer (check out our review of the 5 best facial diffusers on the market). Let’s take a look. Boasts an exotic and floral scent. Does not overpower other oils. Great when blended with woody aromas such as Sandalwood and Vetiver. Pairs perfectly with floral fragrances such as Neroli, Ylang Ylang, Rose, Geranium and Bergamot. 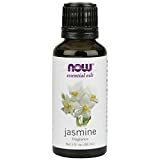 What can Jasmine essential oil do for you? Jasmine oil not only adds fragrance to your life, but it can also aid in fighting depression. It is also a great claiming oil, perfect for calming nerves or soothing the body when riddled with a cold or flu. The smell is one of the best out there. If you enjoy a floral aroma, then this is the oil for you. *Note: Please do not use in high doses if you are pregnant. The oil has been known to induce contractions later in a pregnancy. Sensual, sweet, floral and rich. An expensive oil, but also a potent one. A little goes a long way. Blends well with woody aromas such as Sandalwood and Palmarosa. Rose essential oil also pairs well with other floral aromas such as Jasmine, Mandarin, Geranium Rose and Carnation. It's subtle, making it perfect for essential oil blends. Does not smell as floral as the Jasmine oil but it does have more sweetness to it. This oil is used a lot in perfumes, and one smell will be all it takes to see why. This essential oil is perfect for skin and hair. It is also an amazing antioxidant. Adding this oil to your beauty routine will have you feeling better than you ever have. Rose oil and Jasmine oil are two of the most aromatic scents out there. Standing alone the will give you a potent mix; blended they will become subtle and compliment many other aromas. If you like floral fragrances, then you need to add these two oils to your home. Citrusy, fresh, energizing, and clean. Potent when used as a standalone oil. If blending, mix with Bergamot essential oil for a great combination. Other complimentary oils are Ginger, Cinnamon, Black Pepper and Sandalwood essential. Sweet Orange essential oil has many strings to its bow. This oil helps to soothe the body and can act as a sedative. If you suffer from muscle spasms or cramps, then consider adding Sweet Orange oil to your massage or bath. Add to your cleaning products to add a clean, fresh scent which will linger lovingly in your home for days. 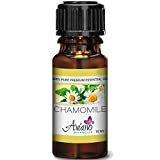 Artizen Sweet Orange Essential Oil (100% PURE& NATURAL - UNDILUTED) Therapeutic Grade - Huge 1oz Bottle - Perfect for Aromatherapy, Relaxation, Skin Therapy & More! This subtle oil is a great addition to most other oils. One drop will enhance the flavour of your base oil without overpowering. The smell is not strong, but it is potent. Often, only a drop or two is needed. Great when aroma is not top priority. The smell is great, and it does not take over a room. Lavender smells comforting. It will linger in the air like an old friend who has come to dinner. You can understand why it's one of the best selling essential oils out there. When used in a diffuser it does not take over a room; it moves in with you and shares the space. Great for insomnia , stress relief, and skin conditions. Light, delicate, citrusy, and floral. The smell is powerful. It is a rhino running across the plains. Bergamot is great to blend. Pair with Frankincense, Orange, Rosemary, Vetiver, Jasmine, and Cypress. Bergamot can do so much for you. It is great for the body. A few drops can help with a fever, relaxation, digestion, and pain, skin complaints, and infections. A great oil when the focus is also on the aroma. Sweet, warm, comforting, and warm. Not too potent and not overly subtle. Roman Chamomile blends well with other floral aromas such as Jasmine, Sage, Tea-Tree, Rose and citrus. A powerful and woody aroma. Combines well but also stands on its own two feet. Forms great partnerships with Lavender, Peppermint, Geranium and Lemongrass. 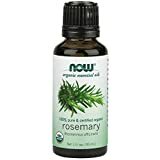 Rosemary is an amazing pain reliever and mood enhancer. It can take care of stomach problems, bolster your immune system, and improve your mental capability. A must have oil for anyone who wants to start living a better life. There are variations in quality, production standards, price, and availability between the different brands that make essential oils. Many companies make wonderful oils, but from my research the best essential oil brands are Rocky Mountain Oils, NOW Foods, Plant Therapy, dōTERRA, Young Living, and Aura Cacia. Many times when I am deciding which brand to buy price is the determining factor. Here's an infographic of some of the best smelling essential oil blends that you can make at home for positive health benefits. In many cases, you can maximize the results by mixing essential oils for diffusers.